In addition to private consultations, Scott conducts seminars for professional dog trainers, veterinary practices, rescue shelters and dog owner groups. He is a consultant for municipal animal control services and is a legal consultant in dog bite cases. Scott is also a regular contributor to magazines, newspapers, podcasts and blogs. In this video, Scott Sheaffer, CDBC, CBCC-KA, CPDT-KA, discusses the role of a behavior consultant. 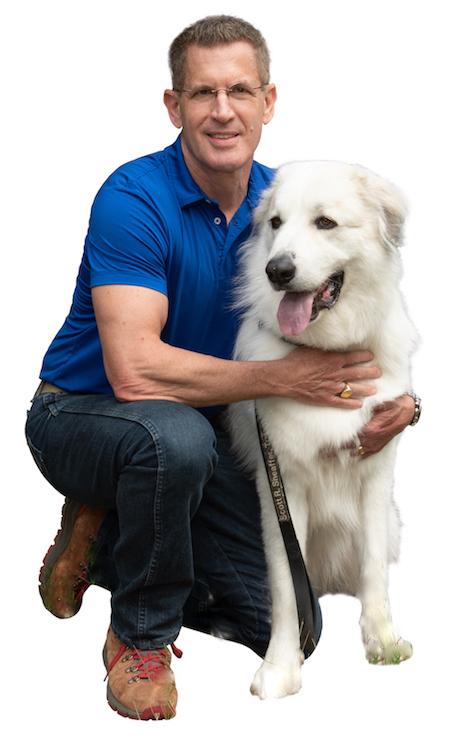 Scott is the creator of FRED™ (Functional Reactivity Exercise for Dogs) behavior modification - Real Owners, Real Environments, Real World™. He also created the Looping™ protocol used in canine behavior modification, the Clipper Leash™ and PED™ (Parkour Exercises for Dogs). Scott is a fully certified member of both the IAABC (International Association of Animal Behavior Consultants) and the CCPDT (Certification Council for Professional Dog Trainers). He is also a professional member of APDT (Association of Professional Dog Trainers). Scott is married and has a daughter. He lives with a rescue Great Pyrenees named Luke and a Cavalier King Charles Spaniel named Reagan. He enjoys anything to do with dogs and enjoys physical fitness. Scott Sheaffer, CDBC, CBCC-KA, CPDT-KA, educates an audience of animal professionals and rescue volunteers on dog aggression. Seminar on dog behavior issues presented by Scott Sheaffer, CDBC, CBCC-KA, CPDT-KA. Seminar by Scott Sheaffer, CDBC, CBCC-KA, CPDT-KA, on separation anxiety for SPCA staff and volunteers.